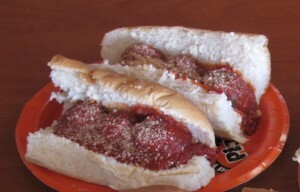 All subs served on Pudgie’s fresh baked rolls, plain or toasted. 1/3 lb. 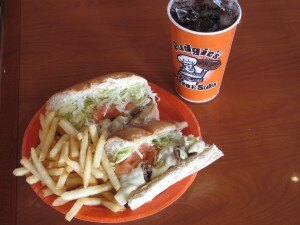 100% Ground Beef, Charbroiled, Served on a Toasted Roll with Melted Cheese, Lettuce, Tomato Slices, Onions, and Mayonnaise. Thin Sliced Roast Beef, Served with Butter, and BBQ Sauce.